Posted on June 14, 2012 by Candy McSween Posted in Desserts, Food & Recipes	. Let me state right up front – I am NOT a chef. I’ve never had any training and I just cook for my family. I hope you enjoy the recipes I share with you, but treat them as one friend giving them to another – there’s no teaching going on here. 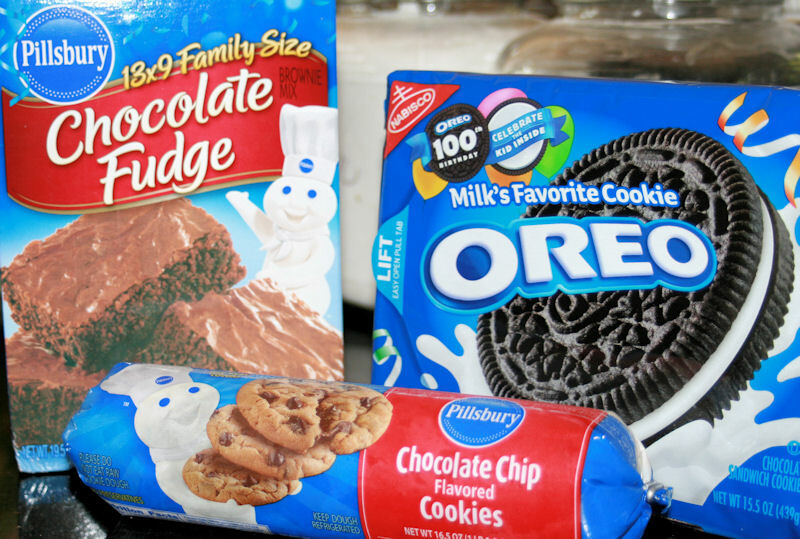 OK, here’s what you need to make the most decadent, gooey, yummy brownies ever (clearly this is not gourmet recipe): a box of your favorite brownie mix (or homemade, if you’re feeling really industrious), a roll of refrigerated chocolate chip cookie dough, and a pack of Oreos. I usually use the Double Stuf Oreos, but these were on sale. They were still delish. This next step is perhaps THE most important part of this recipe. 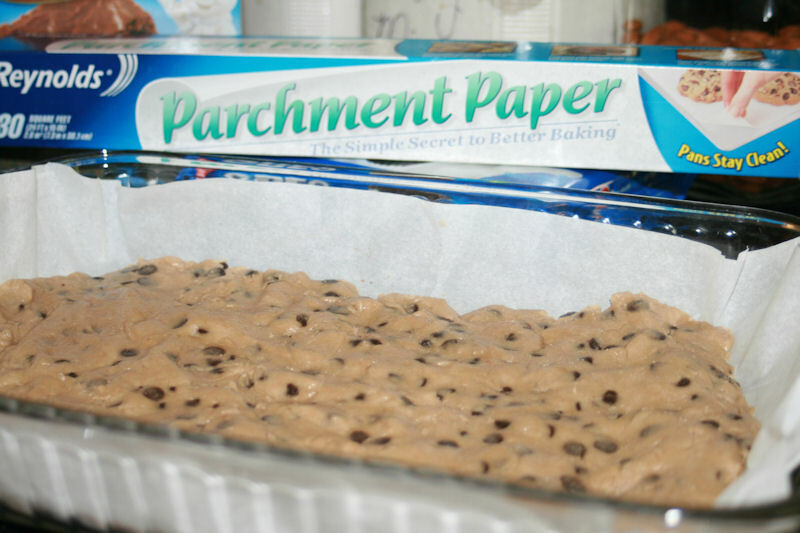 Line your 9×13 pan with parchment paper. I cannot stress this enough. This is a seriously warm gooey mess after it bakes and you will be thanking me for the parchment paper. Press the roll of cookie dough into the pan. I accomplish this by putting a sandwich baggie over my hand and pressing with that – no sticky hands. 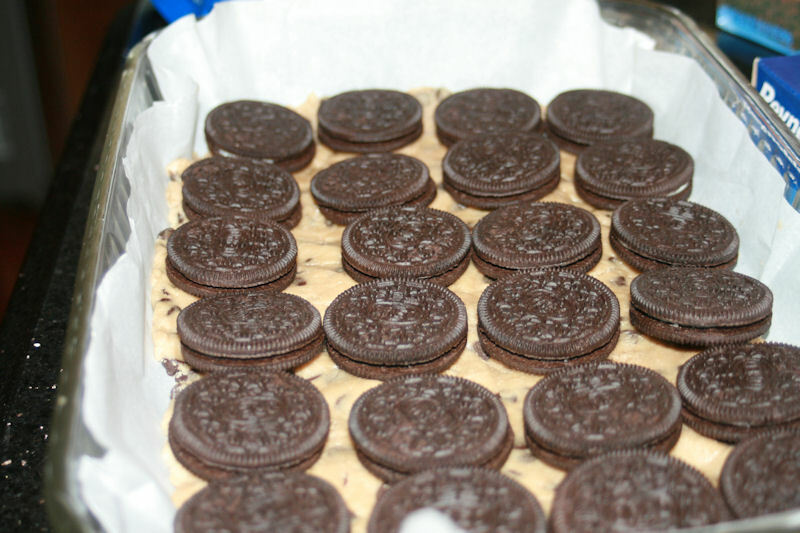 On top of the cookie dough, place the Oreos. 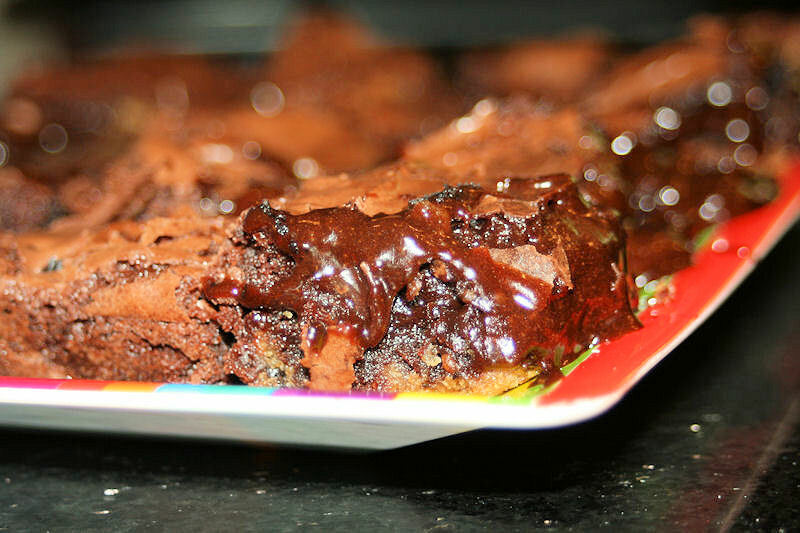 Mix up the brownie mix according to the package directions. Pour over the Oreos. 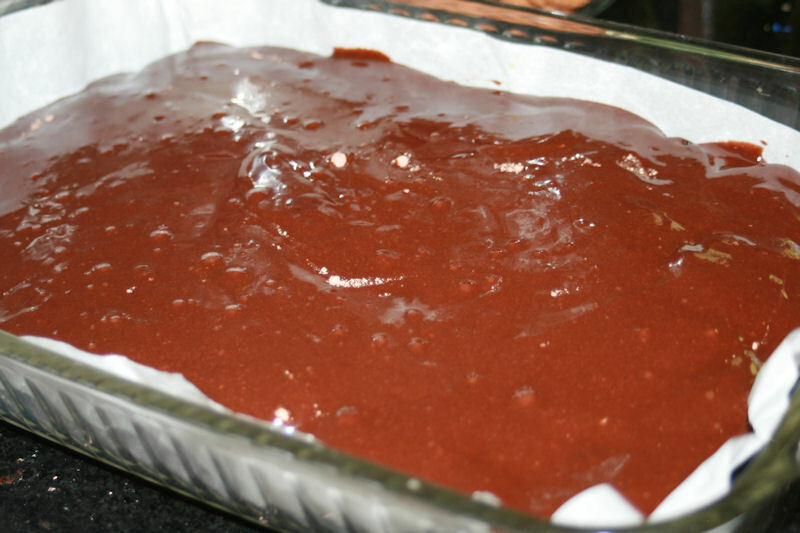 Cut the brownies into SMALL portions. Trust me. These are super rich. But oh-so-good. A variation I made yesterday, but wasn’t smart enough to get pics of, is to substitute the Oreos with Reece’s Peanut Butter Cups. Yes! I think I like it better than the original. 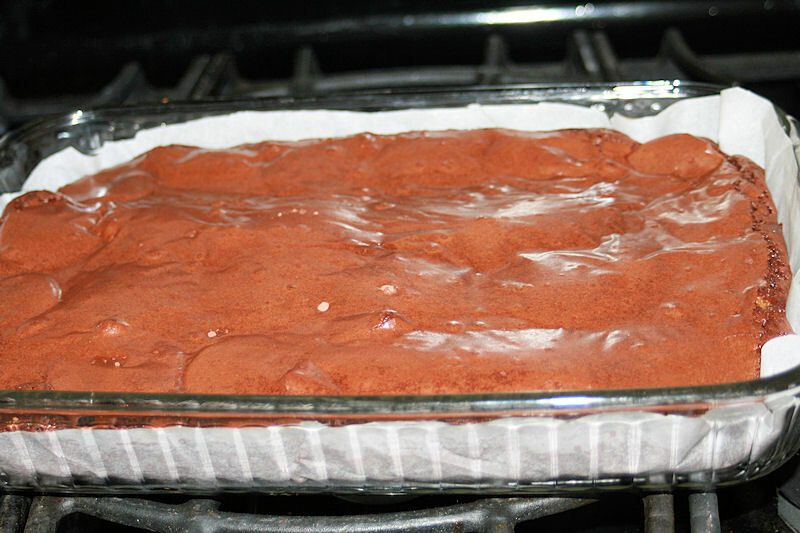 I also used my favorite square muffin tin to bake them in. I just greased the tin VERY well and prayed hard when I removed them. I baked them for 19 minutes at 350. 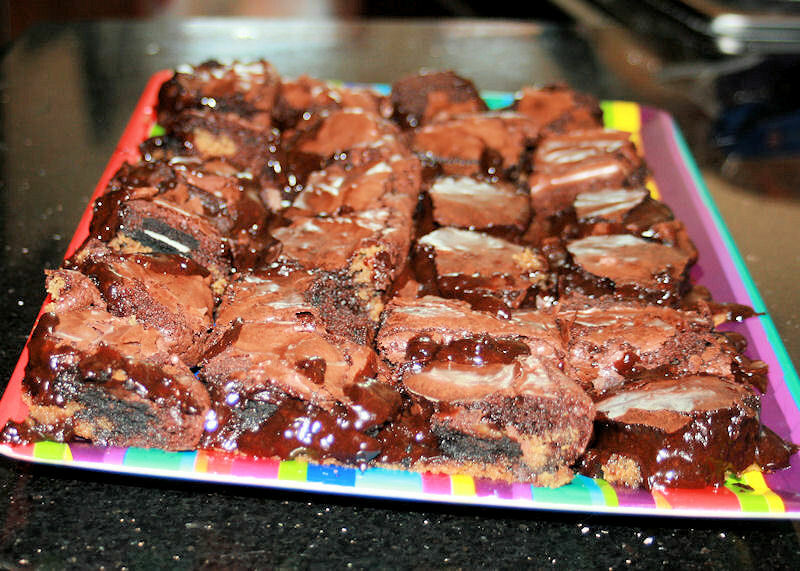 We still cut the Slutty Muffin Brownies (could I call those Stud Muffins??) in half to eat them, because they were so rich.